Below you can view all the homes for sale in the Woodcroft subdivision located in Durham North Carolina. 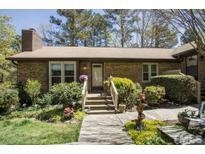 Listings in Woodcroft are updated daily from data we receive from the Raleigh multiple listing service. To learn more about any of these homes or to receive custom notifications when a new property is listed for sale in Woodcroft, give us a call at 919-759-5468. Woodcroft is convenient to Duke UNC and RTP. MLS#2249261. 4120. Absolutely a show stopper. Super private yard. MLS#2248694. 4542. Truly, for someone who lives and loves life! MLS#2247983. 4883. 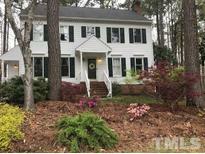 Close to Streets of Southpoint, RTP, Highway 40, and much more. MLS#2248470. 2931. 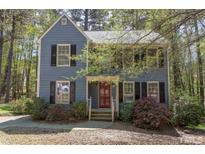 Great locations between Chapel Hill and Durham, shopping, restaurants & walking trails. MLS#2247823. 136.
thermostat. Convenient to RTP/Southpoint! Welcome home! MLS#2247853. 4542. 2nd floor bonus room. 3rd floor office/Recreation room. MLS#2246037. 649. The property is being sold "as is" and the seller will not make any repairs. MLS#2245842. 4648. Walkability to shopping, eateries and entertainment, only mins to RTP, RDU, Duke and UNC * Meticulously maintained 3 BD/2 B *Master on main * Fresh interior paint *Fabulous deck *Fenced back yard * Rocking chair porch *Great natural lighting *Garden area. MLS#2245021. 45. A stunningly private deck backs directly to walking trails. MLS#2245146. 3359. Woodcroft offers miles of Walking & Biking trails with access to American Tobacco Trail. MLS#2244720. 4592. The rent is $900.00 per month. MLS#2244255. 257. Front yard features low maintenance landscaping. Showings start 03/23. MLS#2243600. 351. Location is convenient to Southpoint Mall, Duke University, and University of North Carolina at Chapel Hill. MLS#2242384. 330. Large utility area in the basement as well! MLS#2241400. 621. Convenient to Duke, UNC, RTP, I-40, Southpoint Mall, Walking Trails, & YMCA! A Must See! MLS#2238959. 238. Quiet location tucked into popular Woodcroft! MLS#2237067. 269. Great location close to shopping, schools, restaurants, I-40 and Southpoint mall! MLS#2225440. 3581.